The Camellias’ color varies among different species, and they can have up to 60 petals. The flowering season starts is from winter through spring. Blossom flowers bring warm feeling to the winter and pleasant views for spring time. New Taipei City host the Pinglin Baozhong Tea festival annually at the end of November. Try to build the atmosphere of sight, smell, taste, and touch of the Baozhong Tea with the flowing Camellias. 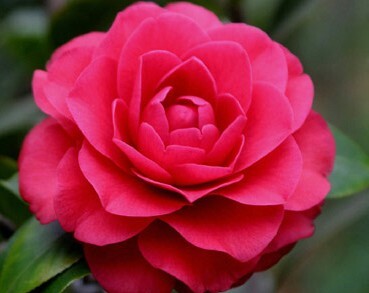 There are currently about 40,000 Camelias in the cities, and mostly distributed in Pinglin and Shuangxi districts: Pingshuang Road, Xiedegongyi correctional facility area, Pinglin ecological park – along Kulingjiao route, Beiyi expressway – Jianshan Lake, Jingxi – Jiugonggen, Nanshan Temple – Huanshan Road, Xiding Road in Shuangxi district.